Remember that time Brad Pitt got hit by a van, and a taxi? 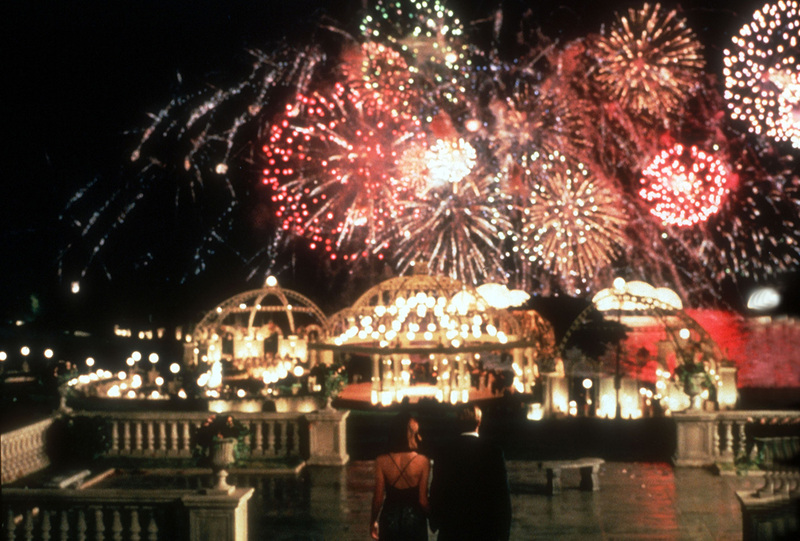 Martin Brest’s 1998 film Meet Joe Black has a shot in it that I’ve been wanting to write about since, well, 1998. 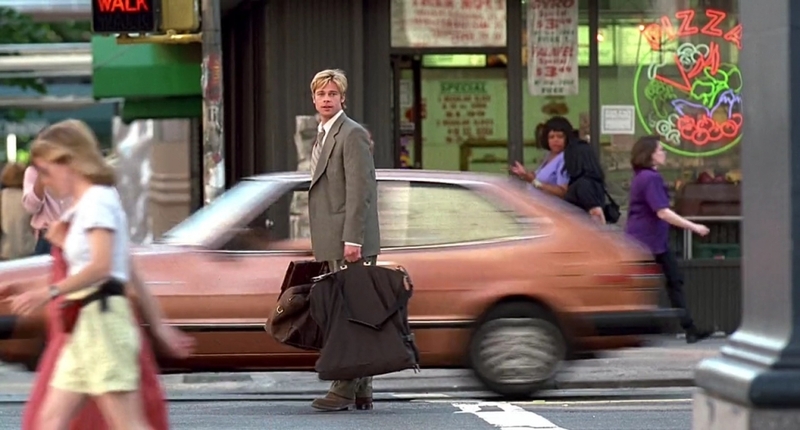 It is, of course, the moment Brad Pitt’s character, Joe Black, pauses in the street to ponder his encounter with Clair Forlani’s Dr. Susan Parrish and then gets hit by two vehicles in very quick succession. The shocking shot sees Black firstly pushed into the air by the van, only to go straight into the path of the taxi, which further makes him somersault in the air the other way. Audiences gasped – I gasped – some 20 years ago; indeed, part of the appeal of the shot, which is fast, is that it happens with no cuts. 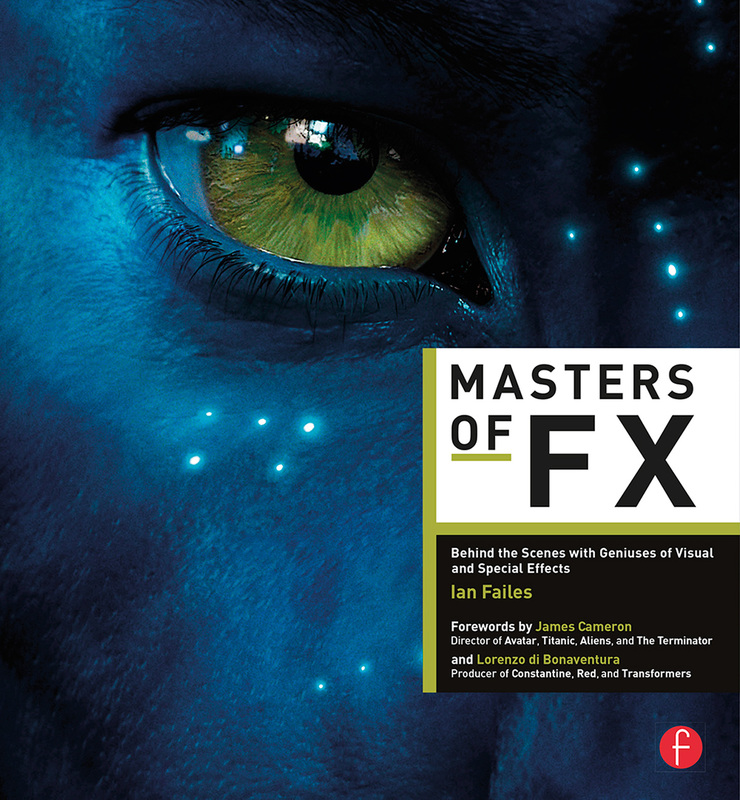 Behind the quickfire shot was ILM and visual effects supervisor Michael Owens. With the 20th anniversary of the film only a few months gone by, befores & afters asked Owens about that truly memorable moment from the movie (which you can watch in full in the video below). 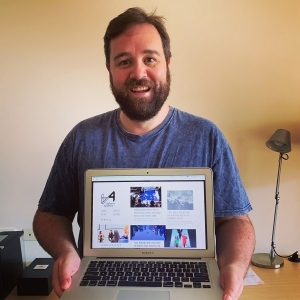 Michael Owens: We broke it up into different pieces – there’s Brad being out there, there’s cars, and there’s the dummy in front of a bluescreen that was yanked around with cables. Now, I had requested that we have the stunts and props people put together a full weighted dummy to Brad Pitt’s dimensions and weight, an articulated dummy. On the day, we show up, and they had made a dummy that was two-thirds the weight that it was supposed to be. And I said, ‘Well, this will never work, the mass in it would just not be correct.’ I just knew that the dummy was not going to work. 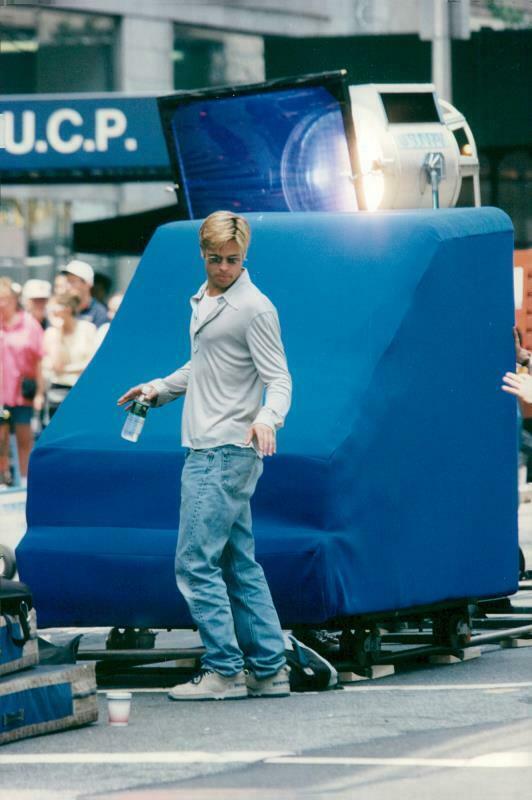 Brad Pitt rehearses the scene in a New York street with the bluescreen vehicle ‘buck’. We had multiple VistaVision cameras set up. And we shot it in pieces. We had the background action set up that we split apart. There’s cars going by separately. Then there’s Brad out there by himself and he needed to react to something. So we blended between Brad and a bluescreen buck of a car that just taps him. Then we also shot bluescreen behind him too so we could separate him. Brad was able to act with that dummy ‘pillow’ car as if he was getting hit to get the start of the motion to happen. When he starts moving fast – during the blur of that – is where we would transfer from real Brad to the dummy. This was really before we had digital characters available to us. So, ultimately what we had to do was manipulate it in post, breaking it apart, where we would re-manipulate and animate the body language and how it moves, which was quite tedious. I still think there’s a hint left of it being slightly artificial. But it comes to the audience so out of left field that you go with it in such a quick action – boom, boom, boom. We probably did maybe 50 comps – there’d be discussions like, ‘Hey, bring in a second car one frame earlier,’ iterations like that. I think we used a Flame for a little while for comp, not as the final compositing tool, but to get the idea of what the timing was going to be. 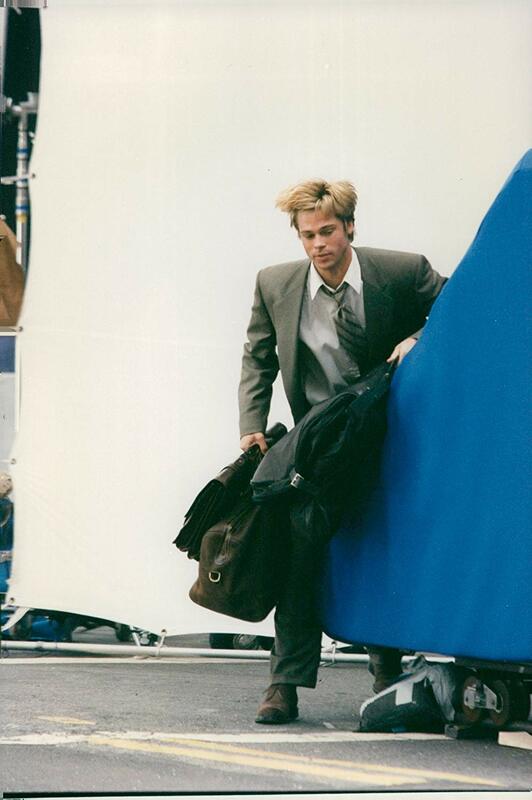 In costume, Pitt was ‘tapped’ by the dummy vehicle for the shot. I think it works really well. When I would see it in theatres, everybody just jumped. The great thing is, Marty Brest came up with the concept, he was so concerned about that timing for this one thing in the movie – not that he wasn’t particular about other things – but he really wanted it to be just perfect. We were also supposed to do all the fireworks in the movie. How they got it to work, I don’t know, because they had this very expensive property (in Rhode Island) that they were leasing or renting. And the neighborhood there was unbelievably affluent and we were shooting there for two weeks every night until 2am in the morning. I don’t know how they got the neighborhood to agree to that. But they did, and the shots were beautiful. Everybody was afraid that they were going to get shut down and we never were shut down. We were the backup plan for that, but they didn’t need it.